The University of Otago (U.O.O) has presented gifts to the National Health Service (N.H.S) in their efforts to continue building and strengthening the relationship between the National University of Samoa’s F.O.M and N.H.S. 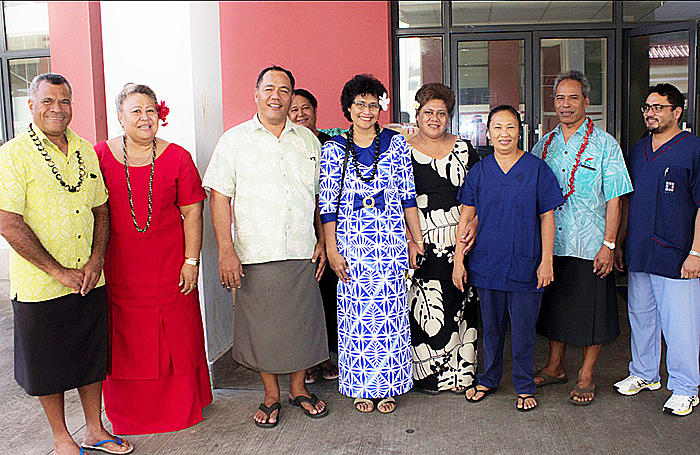 The donation follows the recent visit to Samoa by a U.O.O delegation, headed by the Pro Vice Chancellor of Health Sciences, Professor Peter Crampton. 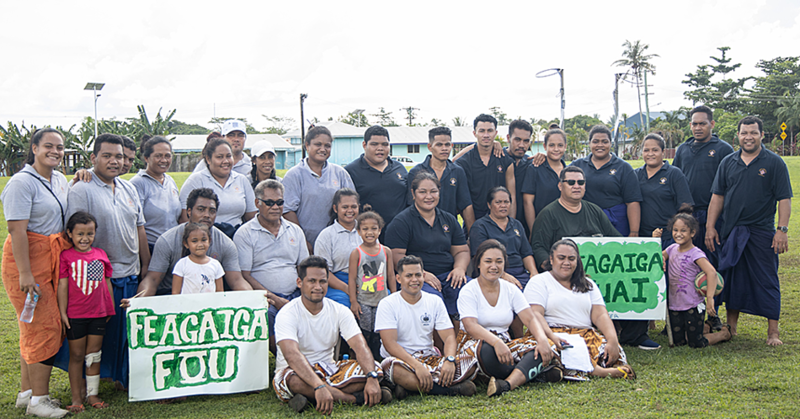 In presenting the gifts, the U.O.O was represented by Associate Professor, Dr. Fa’afetai Sopoaga and the N.U.S Vice Chancellor, Professor Fui Le'apai So'o, representing the Faculty of Medicine (F.O.M). 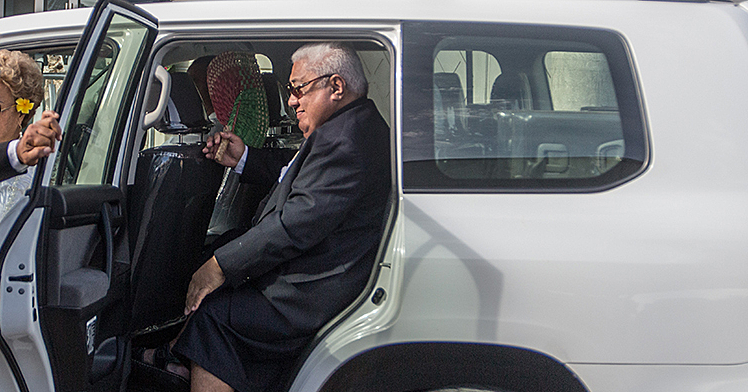 Dr. Sopoaga was in country to attend the Samoa Medical Association A.G.M and had been accompanied by Dr. Viliame Sotutu, a paediatrician and senior Clinical Lecturer in Paediatrics at the UoO. Dr. Sotutu presented at the A.G.M and has given a couple of lectures at the F.O.M. As it continues to develop and strengthen, N.U.S’s medical programme has welcomed a number of teaching staff recently from Otago to share in their areas of expertise and to support F.O.M’s growing curriculum. Professor Peter Crampton, accompanied by a large delegation of senior academics and clinicians, in a visit two weeks earlier expressed the U.O.O’s commitment to supporting the F.O.M, and also in a talk to the N.H.S staff while he was here, shared the strength of a developing Medical school was in its integration into the N.H.S and support within the Health sector. Earlier this year in April, the University of Otago hosted Leituala Dr. Ben Matalavea, Clinical Director of Tupua Tamasese Meaole National Hospital, and Dr. Malama Tafuna’i to build on Samoa’s collaborative networks with the University. It was also a chance to welcome Dr. Tafuna’i as Otago’s newest part-time staff member in P.I.R.S.S.U (Pacific Islands Research and Student Support Unit), to be its Samoa-based Clinical Senior Lecturer (Pacific Health). The University of Otago is delighted to be coordinating this donation of a large shipment of medical and hospital supplies to NUS’s new Faculty of Medicine and the national hospital. Medical equipment, scrubs, sheets, blankets, and hospital gowns will provide much needed supplies for the NHS, and it is hoped it will assist in particular in areas of teaching.